This ELEMENTS range of Alogic cables provides an easy and effective connectivity solution. 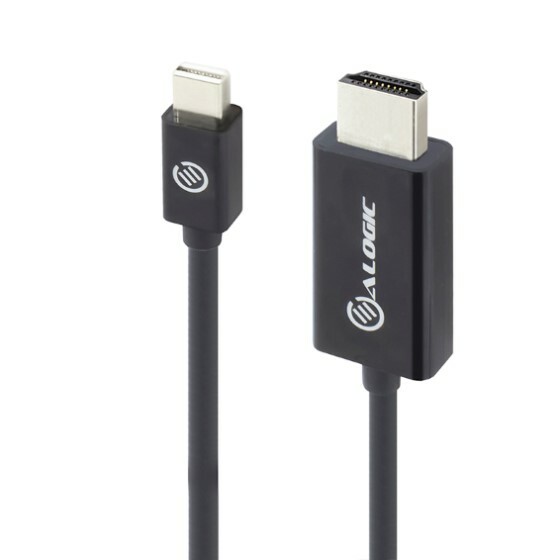 Elements range of products are designed for affordability and value for money for your everyday applications.Elements Mini DisplayPort to HDMI cable connects a DisplayPort enabled computer to HDMI enabled monitor. The cables support a maximum resolution of Full HD 1920 x 1080. The cable will connect a Mini DisplayPort source such a computer/docking station to a monitor/projector.